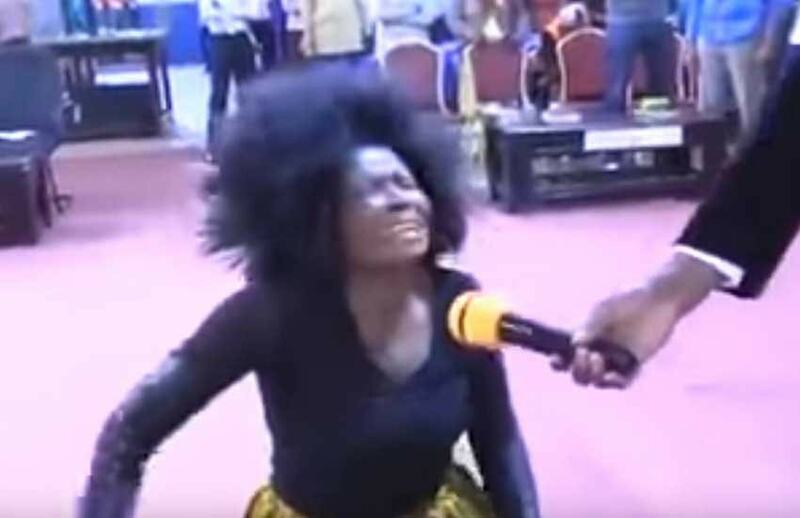 -Popular Tanzanian singer, Rose Muhando, went to seek the services of controversial city pastor, Apostle James Maina Ng’ang’a, after demons possessed her and shattered her life completely. A video of Ng’ang’a exorcising demons from Muhando emerged online and shocked many people. In the video, the singer is seen crawling like a snake while yelling as Ng’ang’a orders the demons to get out of her body. The demons began talking through Rose Muhando and revealed to the congregation that they were sent by one of her close handlers to disorientate her. “We took all her cars and property. We even managed to drive her out of her home for three months now. We are 10 of us in her. We also vowed to scuttle her attempts to regain her career in music. We’ve placed demonic powers in her which have completely killed her music. You know, when she sings for God, she spoils our business.” The demons stated. The once famous singer no longer releases music after she started developing strange disease that almost left her paralyzed. She has also landed in trouble with Tanzanian law enforcers over claims of drug addiction and fraud.